Not sure which ETF to invest in given the underlying asset or industry you’re interested in? This guide introduces the leading ETFs by assets under management (AUM), broken down by market category. Before diving in to discover the top ETFs, it’s helpful to review what ETFs are and what makes them interesting investments. Learn more about Investopedia Academy's online course Investing for Beginners. ETFs were originally created to track various market indexes. The first attempt at something like an ETF was the launch of Index Participation Shares, introduced in 1989 and aimed to track the S&P 500. While there was sufficient investor interest, a federal court in Chicago ruled that the fund worked like a futures contract – so ETFs would have to wait. The next attempt at the modern ETF was the launch of Toronto 35 Index Participation Units (TIPs 35), introduced by the Toronto Stock Exchange (TSX) in March 1990. These were a warehouse, receipt-based product that tracked the TSE-35 Index. The product was followed by HIPs, another ETF-type product that tracked the Toronto 100 Index. The popularity and variety of ETFs available have grown tremendously over the past 25 years since SPY was introduced. U.S. investors can now choose from more than 2,100 ETFs, covering many areas of the market including stock indexes, stock market sectors, commodities, currencies, bonds and even instruments that track the volatility of the stock market. Current ETF assets in the U.S. total $3.4 trillion; by comparison, ETF assets were $1.14 trillion in 2010 and just $228 billion in 2004. Lower Costs: Annual management expenses for ETFs are typically substantially lower than those of mutual funds. ETFs are also free of loads, the entry and exit fees that some mutual funds charge. Many mutual funds fail to beat benchmark indexes such as the S&P 500; however, the fact that ETFs can inexpensively and effectively track these indexes highlights their potential appeal to investors. Why pay high fees to enter a mutual fund that may fail to beat an index such as the S&P 500 when you can buy an ETF that efficiently tracks the benchmark index with a very low management fee? Finally, many brokers offer access to dozens or even hundreds of commission-free ETFs, further lowering costs. Diversification: ETFs allow investors to invest in a broad array of markets they may not otherwise have had access to. For example, prior to the advent of ETFs, investors would have needed access to the futures markets to trade commodities such as gold. The ability to easily allocate assets into a diverse range of markets empowers investors to better manage their risk against adverse moves in the market. Transparency: Unlike mutual funds, the holdings of an indexed ETF are readily visible, either in their prospectus or on the provider’s website – so you’ll always know what you own. While mutual funds are only required to disclose their portfolios on a quarterly or semiannual basis, by law all actively managed ETFs must disclose their full portfolios every day. Active management refers to the use of a discretionary element, where management actively decides which assets to include in a fund. S&P 500 Vs. Russell 2000 ETF: Which Should You Get? We look at the differences of investing in a S&P 500 vs. the Russell 2000 exchange-traded fund, and when to choose the one over the other. Here are the benefits of a mutual fund with the flexibility of a stock. As the popularity of ETFs soar, here's a look at the main benefits of these investment vehicles. Of the hundreds of exchange-traded funds on the market, some are bound to fail. Learn how to pick the best of the bunch. 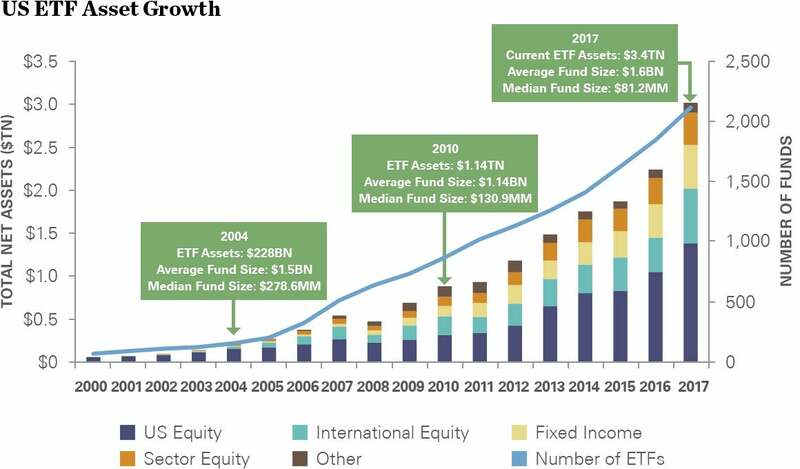 With the ongoing ETF boom, ETFs gain more variety and increased competition in the market leads to further investors' advantages compared to index funds. Despite their popularity, exchange-traded funds, or ETFs, have some drawbacks that investors should know about. ETFs are a low-cost way to get exposure to different markets. But they're not all the same. Investors should research the following key information regarding the ETF before buying it. Compare two financial sector ETFs that offer a specific banking industry focus: the PowerShares Financial Preferred ETF and the SPDR S&P Bank ETF.